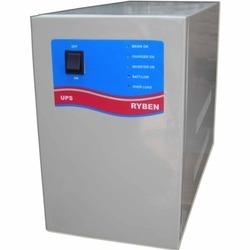 Pioneers in the industry, we offer 800va ryben hybrid solar inverter, solar inverters for offices, 1 kva ryben hybrid solar inverter, 1.5kva ryben hybrid solar inverter, 3.5kva ryben hybrid solar inverter and 5kva ryben hybrid solar inverter from India. 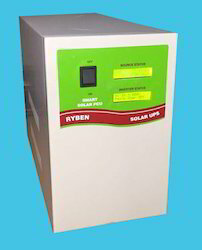 We are engaged in manufacturing and supplying wide range of Ryben Solar off-Grid hybrid Inverters. 800VA Solar Package (Inverter+Panel+Battery+Stand) Price Starts from Rs. 26000/= onward. 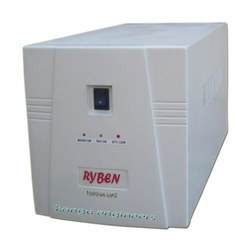 Owing to our vast industry experience, we are engaged in providing Solar Inverters for Offices. The offered product is designed by our professionals using excellent quality material and cutting edge technology. In addition to this, clients can avail the given product from us at market leading prices. High End Micro controller based design. 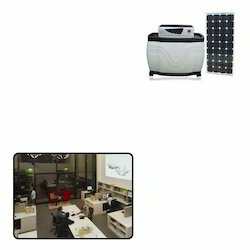 1 KVA Solar Package (Inverter+Panel+Battery+Stand) Price Starts from Rs. 30000/= onwards. 1.5KVA Solar Package (Inverter+Panel+Battery+Stand) Price Starts from Rs. 26000/= onwards. 3.5KVA Solar Package (Inverter+Panel+Battery+Stand) Price Starts from Rs. 26000/= onwards. 5KVA Solar Package (Inverter+Panel+Battery+Stand) Price Starts from Rs. 26000/= onwards. 6KVA Solar Package (Inverter+Panel+Battery+Stand) Price Starts from Rs. 26000/= onwards. 10KVA Solar Package (Inverter+Panel+Battery+Stand) Price Starts from Rs. 26000/= onwards. 2KVA Solar Package (Inverter+Panel+Battery+Stand) Price Starts from Rs. 26000/= onwards. Being an eminent manufacturer, supplier, wholesaler and trader, we are engaged in offering Solar Energy Inverters. Our offered inverters have micro controller based design, owing to which these are widely demanded across the nationwide market. 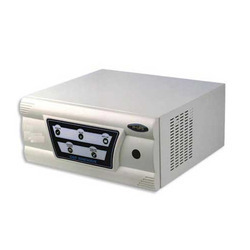 To suit the growing needs of customers, we offer these inverters in different specifications. 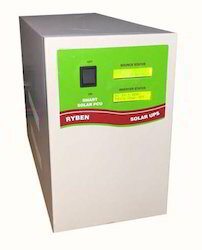 Looking for Solar Off-Grid Inverters - RYBEN ?